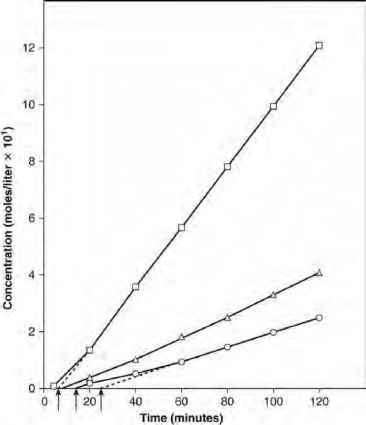 Figure 4 Relationship of carbon side chain length of 4-hydroxbenzoic acid esters with log Js (sebum flux), log ^«¡bum (sebum partition coefficient), clog P (calculated octanol/water partition coefficient), and log /hs [human skin flux from the literature by Pozzo and Pastori (46)]. o, clog P\ ■ , log tfsebum; log (sebum flux); A, log (skin flux). Here, h identifies the membrane's thickness and D is the compound's diffusion coefficient. The equation teaches us that the lag times for parallel routes should differ to the extents that h and D are different for the routes. We can crudely estimate the respective lag times for the transepidermal and transfollicular routes from the diffusion coefficient and thickness estimates tabulated in Table 5. Taking this approach, lag times for the transepidermal route are projected to range from minutes for small nonelectrolytes to multiple days for molecules of the size and properties of the corticosteroids. On the other hand, the lag times for breaching the transfollicular route should range from seconds to minutes. Though relatively few molecules reach the living tissues via the transfollicular route because of the limited fractional area of this pathway, it appears that the first lipophilic molecules to reach the viable epidermis actually get there via this path. This comparison has led scientists to suggest that the early clinical responses seen with drugs as large as steroids are the result of follicularly transported molecules. However, if the lag time for passage directly through the stratum corneum is also very brief, the follicular shunt diffusion is far less likely to be clinically meaningful. These non-stationary-state considerations do not apply at all when the horny barrier is impaired. Under this circumstance, transepidermal lag times can be so brief that they cannot be easily measured. bThe lag time is the intercept that results by extrapolating the steady-state line of a plot of cumulative amount of drug penetrated versus time to the time axis. 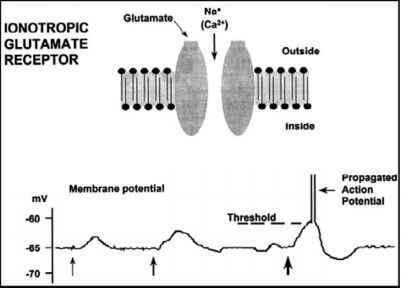 Figure 5 Generalized permeation profile. From left to right the data are for n-butanol permeating hairless mouse skin at 20°C, 25°C, and 30°C, respectively. Increasing temperature raises the flux (slope) and shortens the lag time. Equations (1) and (2) point to the fact that the amount of drug delivered through the skin is proportional to the area of application of a topical dosage form or a transdermal patch. Nitroglycerine and other patches are available in different sizes (areas) to take advantage of this proportionality in dosing. Pharmacists have to be cognizant of this area dependency for another important reason, this being that the systemic accumulations, and thus systemic toxicities, of topically applied drugs are proportional to application area. Indeed, excessive areas of application are the most frequent cause of the untoward systemic actions seen with topically applied drugs. Tiny infants have been fatally poisoned following all too liberal applications of borate-containing talcum powders. As a result, borates are no longer used as lubricants in powder formulations. Babies have also been poisoned upon bathing them with a hexachlorophene-containing soap. Bathing, of course, is virtually synonymous with whole body coverage. Hexachlorophene is no longer used as an antiseptic soap. Diaper dermatitis tends to be expressed over large areas. Antiinflammatory corticosteroids have occasionally been used too liberally to remedy this condition, again eventuating in serious toxicity. And systemic toxicities have at times accompanied the application of salicylic acid, a keratolytic agent or substance that breaks down keratin, to large psoriatic lesions. There are documented cases of abuse of transdermal patches, including a case in which a patient, confused about the manner of usage, succumbed to fentanyl by wearing four patches simultaneously. A pharmacist must realize that, in the instance of topical therapy, area is dose! While the model helps us understand the chemical structure dependencies of skin permeability, it is not all that useful for calculating permeability coefficients because of the many iffy assumptions it contains. A different tack has to be taken to gain a sense of the limits, especially the upper limit, of cutaneous drug delivery. There is no lower limit. Even proteins penetrate intact skin to some extent. Some idea of the upper limit can be gained upon examining the rates of delivery of nitroglycerine and like facile penetrants of the skin. Nitroglycerine, a liquid at room temperature, is a lipophilic nonelectrolyte of 227 Da molecular weight. These physical properties make this drug about as good a skin penetrant as can be found. It is formulated in transdermal systems virtually as a neat liquid and thus near its upper attainable thermodynamic activity. It diffuses through the skin at between 0.02 and 0.04 mg/cm2/hr from the transdermal reservoirs it is placed in. These rates equate with a delivery of 0.5 to 1.0 mg/cm2/day (24). Consequently, 20 cm2 patches provide a daily delivery of between 10 and 20 mg of the drug (24). Nicotine, another low molecular weight, substantially hydrophobic, liquid compound at 25°C, permeates human skin from its transdermal delivery systems with comparable ease. Selegiline is yet another drug with properties as these that is a facile skin penetrator. Putting all of this together, it appears that a percutaneous delivery rate of about 1 mg/cm2/day is near the upper achievable limit for "skin delivery." Now it is true that water diffuses out through the skin far faster than any of these compounds diffuse in the reverse direction. To be specific, we typically loose about 0.5 mg/cm2/hr of water through the skin into a dry external atmosphere, a flux that exceeds that of the referenced compounds by more than an order of magnitude. However, water is a very unique molecule both with respect to its size and its interactions within the horny layer. It appears that its diffusion is not constrained to the intercellular domain of the stratum corneum but, rather, some water almost certainly works its way into and up through keratin amassed in the intracellular space. A major fraction of insensible perspiration exits the skin this way. By way of contrast, permeation of nitroglycerine and the other drugs mentioned is thought to mainly take place through the intercellular domain of the stratum corneum. If all nonpolar drugs were as skin permeable as nitroglycerine, many more transdermal delivery systems might exist. Why are there so few transdermally delivered drugs? The crystallinity of compounds is one important answer for, in a general way, the level of crystallinity sets a limit on solubility and thus the activity gradient that can be expressed across the skin. Since most drugs are quite crystalline, the delivery of 1 mg of drug per day through a 20-cm2 area (roughly the area of a Ritz cracker) can be feat. This is one of the main reasons why only exceptionally potent drugs are taken seriously for transdermal delivery. The dose limit results from the fact that, irrespective of the solvent, drug solubilities are lowered over what they would otherwise be by crystallinity. In other words, a drug's solubility ordinarily sets the upper limit on a drug's driving force and therefore on its achievable dosing rate. It is particularly important to give serious weighing to the crystallinity factor when selecting compounds for topical or transdermal purposes from the many that may be available. Everything else equal, low-melting compounds are far easier to deliver in therapeutically adequate amounts. Equation (6) ostensibly allows one to estimate permeability coefficients in units of cm/ sec. However, as with any parameter calculated from statistically drawn relationships, such estimates have to be "taken with a grain of salt" for the absolute error of estimation for a single compound can be large.